The much-anticipated release includes germ-killing light fixtures powered by Vital Vio® that can continuously disinfect indoor surfaces without harming humans, pets or plants. This technology is ideal for hospitals, classrooms, athletics facilities, hotels, restrooms, daycare facilities, and more. Healthcare solutions company Vital Vio’s patented technology continuously protects against harmful bacteria using violet wavelengths of visible light in the 400-450 nm range. These wavelengths cause bacterial cell death but have no harmful effect on humans. White Light Disinfection® mode utilizes a patented single-diode light source that precisely blends and balances enhanced output in the germicidal 400-450nm range with other wavelengths in the visual light spectrum. This produces pure 4000K-4100K white light, which provides a disinfecting benefit without a color shift in the visual appearance of the luminaire or its light output. Unlike other disinfecting luminaires on the market, this creates a truly white light. Eco Mode, an alternative to White Light Disinfection® mode, uses a precisely-tuned source including high output in the 400-450nm range, producing a soft, violet-colored light output that provides maximum visible-light disinfecting capability. This acts as a disinfection maintenance mode for when illumination is not needed in a room—while still remaining totally safe for humans and animals. When used in combination with traditional intermittent cleaning methods, these solutions multitask to safely, effectively, and continuously kill harmful organisms on indoor surfaces. Visa Lighting has long been recognized for manufacturing innovative products for institutional and commercial spaces. They began collaborating with Vital Vio late last year. Vital Vio engineers the disinfecting LED technology, and Visa Lighting engineers each light fixture to house those sources. 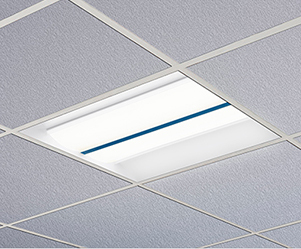 A round, recessed ceiling luminaire with a patented concave lens and multiple source options including Vital Vio’s continuous disinfection technology, Symmetry easily fits in 2x2 grids. 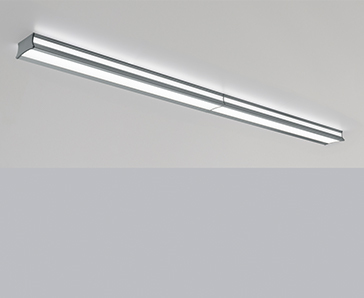 Originally designed for hospital patient rooms, this fixture’s unique design lends itself to many other applications. 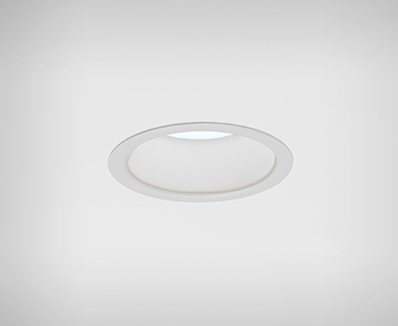 A recessed downlight with typical light distribution, Cade is ideal for supplementing spaces with light disinfection. Because the disinfecting downlight models are a nominal 6" in width to fit LEDs for each mode, non-disinfecting models are included in the line for lighting design cohesion in spaces that don't require continuous disinfection. Two recessed architectural troffers for 2x2 and 2x4 ceiling spaces. Like Cade, these basic fixtures are engineered to replace standard troffers in any space that can benefit from disinfection technology. Jasper also includes non-disinfection models for design cohesion. 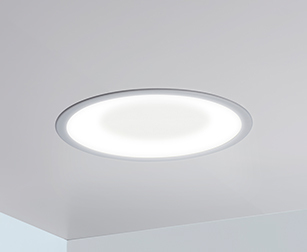 Designed in collaboration with teachers and education specifiers, Latitude provides both ambient indirect light and functional downlight for multiple scenarios in the room. With sidelight grazing the ceiling only, students or employees get restful illumination with no glare on screens. 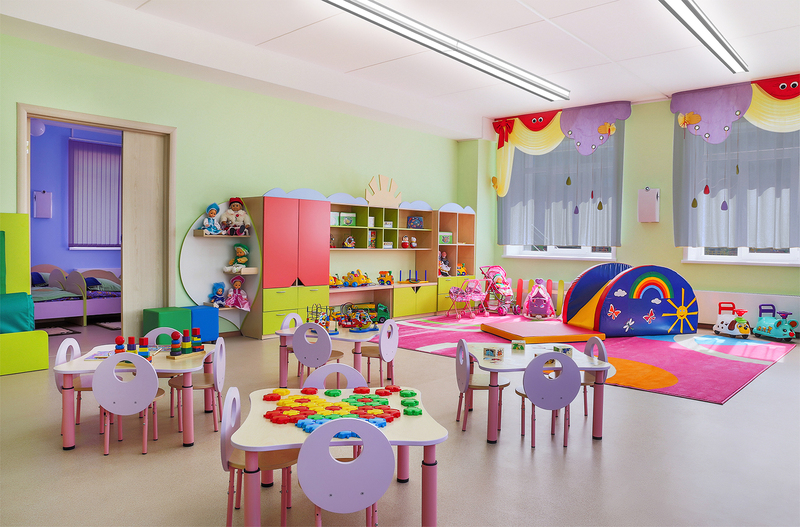 This fixture is also equipped with White Light Disinfection™ to protect classrooms and workplaces against harmful bacteria. 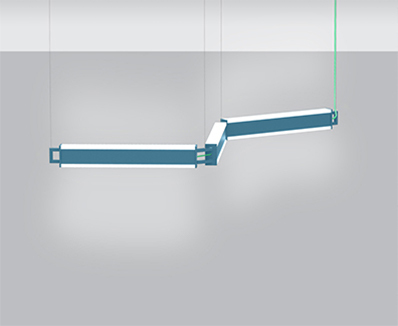 Catena linear pendants emit separately switched direct/indirect light: functional downlight to illuminate the work space and uplight for ambiance and visual comfort. Each element, connected by geometric links, can be angled to produce curved shapes, allowing designers to finely tune the installation for how the space is used. Both Latitude and Catena include optional White Light Disinfection™ sources. Symmetry, Cade, and Jasper all include optional White Light Disinfection™ and Eco Mode sources to safely kill bacteria while the room is in use and when illumination is not needed. All of Visa Lighting’s new products, including those created in collaboration with Vital Vio, are ready for network controls such as DALI, and any other modern digital control system required by the project. 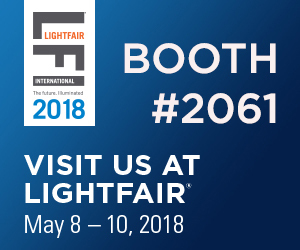 These products will be on display at LightFair 2018 in Chicago, May 8-10. Representatives from Vital Vio will be standing alongside the Visa Lighting team to answer questions at booth #2061. Vital Vio CEO & Co-Founder Colleen A. Costello and VP of Commercialization Kristin May will lead a pop-up presentation, "What Could 'Disinfection in the Best Light' Mean for You?" to educate folks about the science and potential applications of disinfecting light. About Vital Vio: Vital Vio is a healthcare solutions company that has reinvented disinfection, providing facilities managers and home-owners new tools to continuously kill germs indoors with the flip of a light switch. The company’s VioSafe™ White Light Disinfection® technology is suitable for continuous human exposure. Used in combination with traditional intermittent cleaning in hospitals, homes, public spaces, and workplaces, Vital Vio’s technology multi-tasks to safely, effectively, and continuously kill bacteria and other harmful organisms on indoor surfaces, while also illuminating the room. Vital Vio has been awarded several U.S. Patents for its innovative technologies and products, with numerous more patents pending. Research has shown that the company’s LED’s and other product offerings dramatically reduce contamination and infection risk for its customers.